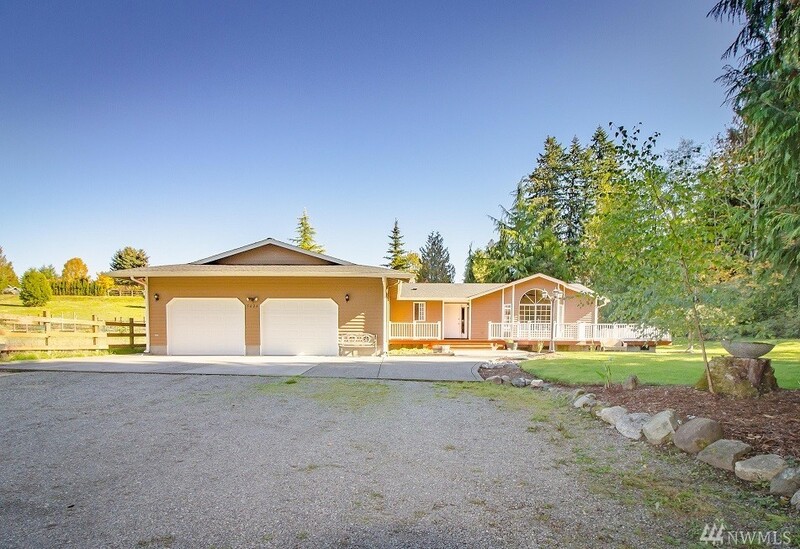 Upgraded and meticulously maintained 3 bedroom 2 bath rambler on nearly 4 level acres. Great location between Auburn and Lake Tapps and close to hwy 18. Private driveway across stream to your secluded property. Everything is new! Wood flooring, kitchen w/dbl oven, bright cabinets, breakfast bar, stainless appliances and granite counter tops, formal dining area located off the kitchen, family room with wood burning fp and formal living room, master suite w/dual sinks, WI and water closet.